So this article is going to look at a couple of different mason jar gifts you can either make yourself, which is the least expensive way to do them, or that you look online for on sites like Etsy or eBay. A lot of crafters are making some fun and creative mason jar gifts as a way to make some extra money. So if you’re not really into crafting yourself or don’t really have the time, head to Etsy and eBay and search for the perfect mason jar gifts for the people on your list. Our specialty actually. Besides mason jar gifts for Christmas, we’ve done personalized redneck wine glasses for weddings and fundraiser give-aways too. Even though they’re pretty easy to make, they are time-consuming depending on how you’re decorating them and how long you want the customization to last, which is why we sell a lot. Not everyone has that kind of time and they’d rather someone else make them. 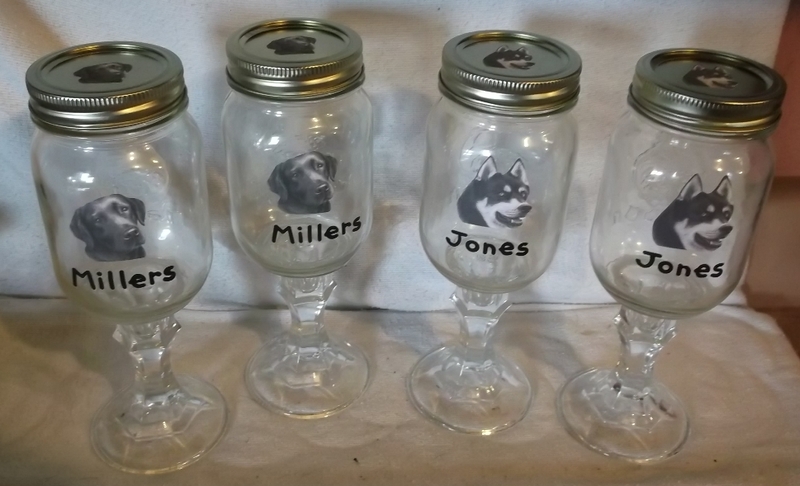 Redneck wine glasses make great mason jar gifts for the sports fan, for country theme weddings, for home décor or just a conversation piece to sit at your bar. Another fun idea for mason jar gifts is making snow globes. Think outside the box for this one because snow globes aren’t just for Christmas. My kids gave me a snow globe one year for a birthday gift in September. It’s a beautiful wolf in the mountains. Well, it snows all year round in the northern mountains, so my snow globe stays out on display all the time. 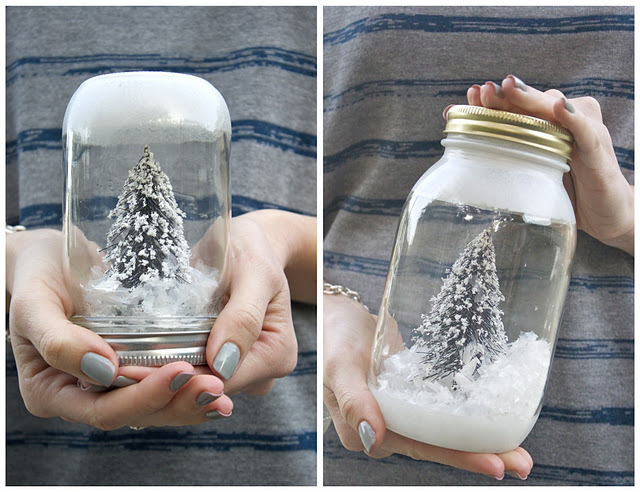 Think of other things that can make creative mason jar snow globes for any season. They’re pretty easy to make, and the “snow” can be different color glitter instead of white or silver. For example, you can put a Cupid figurine in a globe with some red glitter and you’ll have a cute Valentine’s mason jar snow globe for gift. Snow globes, cookie recipes, and other mason jar crafts can be for any age, but there are also some things you can make specifically for men or women. Think of Father’s Day and Mother’s Day, birthdays and holidays just for men. If you usually buy a new tie for dad, why not put it inside of a decorative mason jar instead of a box. Then dad has an extra gift after the tie is taken out. For women, you can do the same thing using jewelry or a new scarf. Decorate the jar with her favorite colors or flowers or even clipart of some of her favorite things. Have you seen those gift box sets at the department stores that have two mugs with some packets of hot chocolate or coffee? 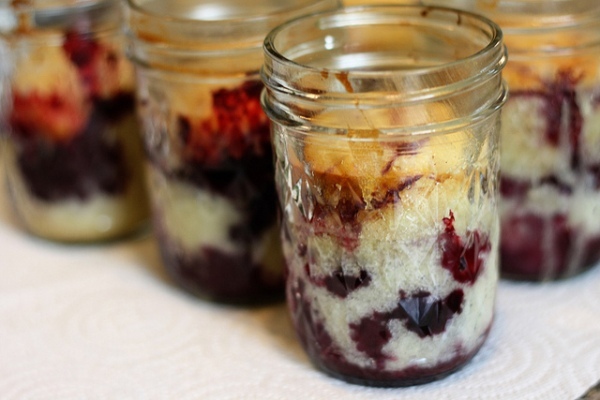 Make your own mason jar Christmas gifts instead. Use two mason jars with handles for the mugs and pick up some hot chocolate and coffee packets at the store. Then put it all together in a nice gift box. Another idea for Christmas or any holiday gift is putting recipes in a mason jar and putting the list of ingredients and baking or cooking instructions on a gift tag. A couple of the most popular mason jar gift recipes are cookie mixes, hot chocolate and soup recipes. Your gift recipient only needs to add water, stir and bake or cook for most of these recipes so it’s a really handy gift for a lot of people. 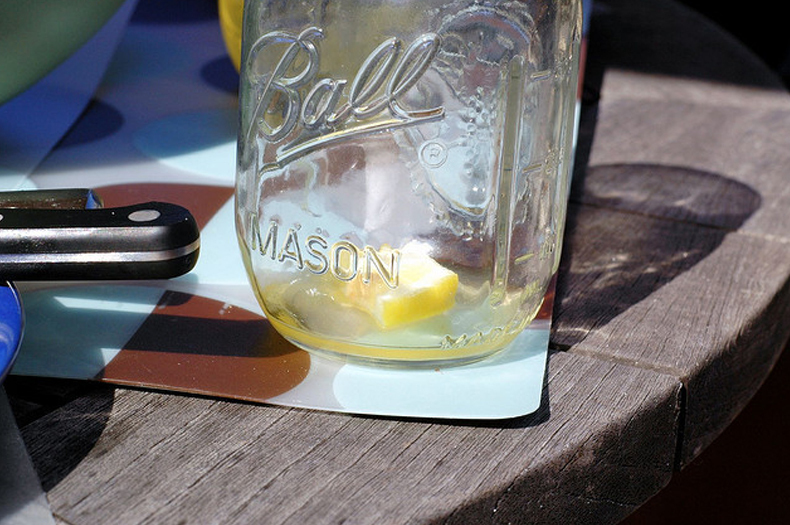 There are a lot of different mason jar crafts that you can make yourself or find a crafter who’s already making them. Mason jar gifts are fun to make. And if you come up with something new and creative, you might be able to turn it into a money-making hobby too.